Kenrick, P. and P. R. Crane. 1997. The origin and early evolution of plants on land. Nature 389:33-39. Kranz, H. D. and V. A. R. Huss. 1996. Molecular evolution of pteridophytes and their relationship to seed plants: Evidence from complete 18S rRNA gene sequences. Plant Systematics and Evolution 202:1-11. Nickrent, D. L., C. L. Parkinson, J. D. Palmer, and R. J. Duff. 2000. Multigene phylogeny of land plants with special reference to bryophytes and the earliest land plants. Molecular Biology and Evolution 17:1885-1895. Pryer, K. M., H. Schneider, A. R. Smith, R. Cranfill, P. G. Wolf, J. S. Hunt, and S. D. Sipes. 2001. Horsetails and ferns are a monophyletic group and the closest living relatives to seed plants. Nature 409:618-622. Qiu, Y. L., Y. R. Cho, J. C. Cox, and J. D. Palmer. 1998. 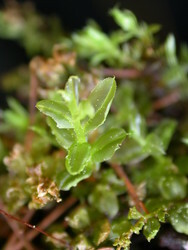 The gain of three mitochondrial introns identifies liverworts as the earliest land plants. Nature 394:671-674. Renzaglia, K. S., R. J. Duff, D. L. Nickrent, and D. J. Garbary. 2000. Vegetative and reproductive innovations of early land plants: implications for a unified phylogeny. Philosophical Transactions of the Royal Society of London Series B 355:769-793. Rothwell, G. W. 1999. Fossils and ferns in the resolution of land plant phylogeny. Botanical Review 65:188-218. Soltis, P. S., D. E. Soltis, V. Savolainen, P. R. Crane, and T. G. Barraclough. 2002. Rate heterogeneity among lineages of tracheophytes: Integration of molecular and fossil data and evidence for molecular living fossils. Proceedings of the National Academy of Sciences (USA) 99:4430-4435. Soltis, P. S., D. E. Soltis, P. G. Wolf, D. L. Nickrent, S.-M. Chaw, and R. L. Chapman. 1999. The phylogeny of land plants inferred from 18S rDNA sequences: Pushing the limits of rDNA signal? Molecular Biology and Evolution 16:1774-1784. Land Plants Online. Dan Nickrent and Karen Renzaglia, Southern Illinois University at Carbondale. Vascular Plant Families and Genera. Compiled by R. K. Brummitt and published by the Royal Botanic Gardens, Kew in 1992. Kew Record of Taxonomic Literature. A database of references relevant to the taxonomy of flowering plants, gymnosperms and ferns. Index Nominum Supragenericorum Plantarum Vascularium. University of Maryland. Vascular Plant Family Nomenclature. James L. Reveal, University of Maryland. Germplasm Resources Information Network (GRIN) Taxonomy. National Germplasm Resources Laboratory, Beltsville, Maryland. Vascular Plant Image Gallery. Texas A&M University. Bioinformatics Working Group. A Synonymized Checklist of the Vascular Flora of the United States, Puerto Rico, and the Virgin Islands. Biflora database of plants. A scientific database with information about the highly endangered plant species of the island of Hainan, P.R. China. Conspectus of the Vascular Plants of Madagascar. Missouri Botanical Garden. Flora of the Hawaiian Islands. Smithsonian Institution. 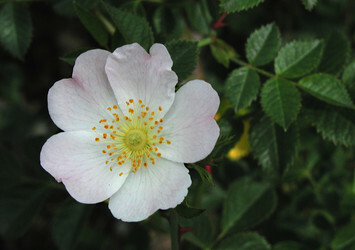 Calflora. Information on California plants for conservation, research, and education. Southeastern Rare Plant Information Network (SERPIN). Checklist of Online Vegetation and Plant Distribution Maps. Compiled by Claire Englander and Philip Hoehn. Plant Fossil Record database (PFR). International Organisation of Palaeobotany (IOP). The Rhynie Chert and its Flora. Forschungsstelle für Paläobotanik, Westfälische Wilhelms-Universität Münster.